There is often instant gratification that comes out of household chores—a certain satisfaction when one broad sweep of the dust cloth reveals an expanse of polished wood, or a once-over with the vacuum unveils crumb-free carpet. But certain tasks are far more unpleasant, requiring more diligence, perseverance, and good old-fashioned elbow grease. Raise your hand if you think there is anything “instant” about cleaning your bathroom grout. Anyone? Alas, it must be done. 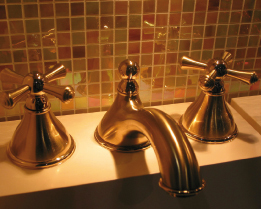 The big enemy of grout in the bathroom is, ironically, water. 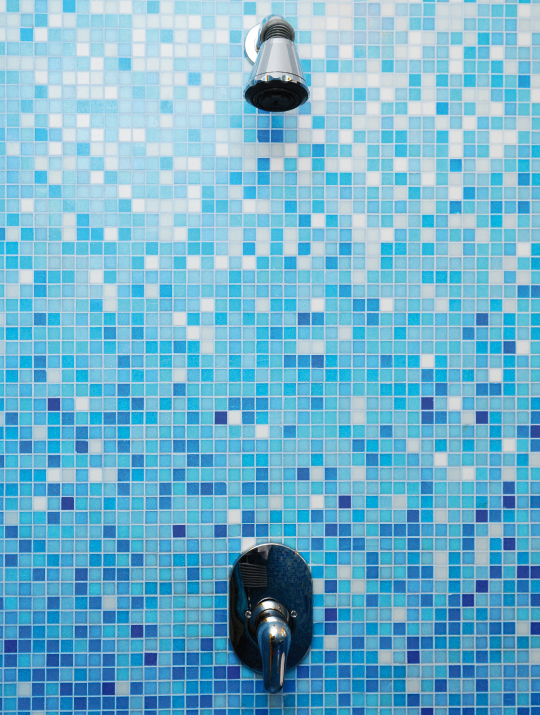 Though grout is used to cement bathroom tiles in place, keeping water where it’s meant to be—in the shower, bath or sink, then directly down the drain—it’s actually a very porous material. Standing water on grout, even a small amount, is a magnet for soap scum and a breeding ground for mold and mildew. 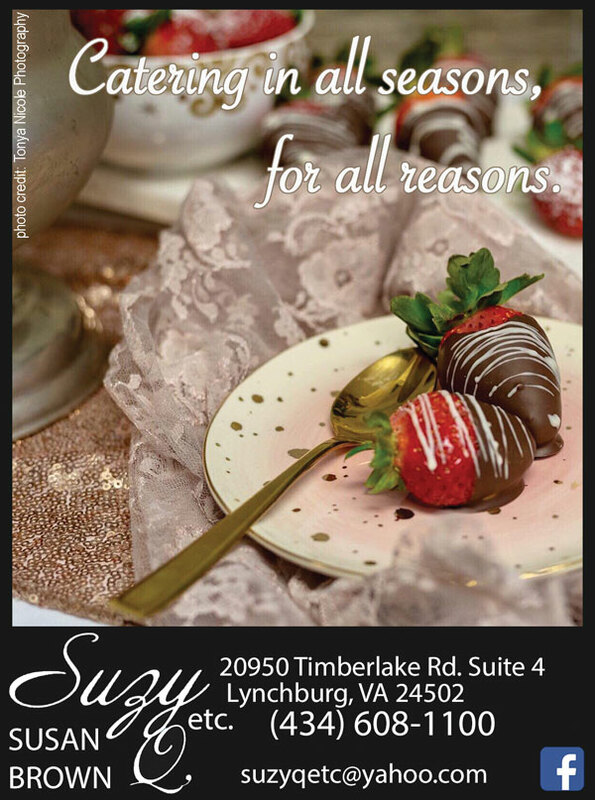 “Showers get used daily—and sometimes four or five times depending on the popularity of the shower and size of the family using it, which causes moisture to build up,” says Kim Condon of Lynchburg’s Godsend Cleaning. You can try to stay a step or two ahead of the grime by running the ventilation fan during and briefly after any showers. Condon also suggests wiping the shower dry after the final use of the day to inhibit unwanted soap scum and mildew from forming. There are several different cleaners that work well for grout. For the greenest solution, Condon suggests a simple mixture of white vinegar and water. She says to use a scrub brush with firm plastic bristles (not metal, as they are too abrasive and could cause damage), dip it in the solution, and scrub at all angles daily or weekly. This is a great prevention and maintenance strategy because vinegar is gentle, natural and inexpensive. For bigger problems with ickier grout, consider a product that contains bleach. Before reaching for bleach, however, take a few precautions. First, know that products with bleach should only be used on white or light-colored grout and tile—not dark and colored tile or grout. If in doubt, check it out first on an inconspicuous area to make sure you’re not bleaching color out of grout. Also before working with bleach, turn on the ventilation fan and open windows, and consider wearing a mask to protect yourself from the fumes. 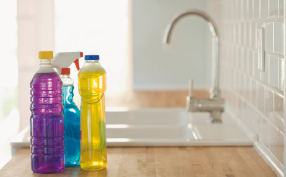 Keep in mind, too, that you should never mix cleaning products that contain bleach with those containing ammonia; the result could produce dangerous fumes. With safety matters addressed, you’re ready to clean. 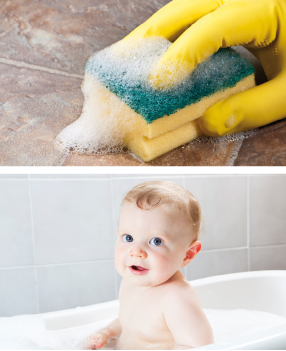 Many products claim to clean grout, but if you want to make your own, Sprague says that a mix of bleach diluted with water and a little dish soap is “as good as the expensive cleaners sold in stores.” (The company’s online cleaning tips at Merrymaids.com suggest a bleach/water ratio of 1:5.) However, she cautions homeowners to be extra careful when using chlorine solutions. If you climb into your shower or bath to get the job done and the solution gets on your feet, you may end up tracking it onto the bath mat or bedroom carpet. Then you have a bigger problem than dirty grout! Always rinse well to remove any traces of bleach. Condon says that she also likes products like Tilex and Soft Scrub with Bleach for cleaning grout. When using Tilex, simply spray liberally on the grout and leave the room for 30 minutes. “When you return, quite a bit of the soap scum and mildew should have disappeared. It does a great job without you having to do any scrubbing,” she says. Any areas that remain dirty may need a little more product and some attention with an old toothbrush or grout brush, she says. Follow this process with a warm-water rinse. Products like Soft Scrub require a more hands-on approach; apply product directly to the grout brush and scrub away dirt and mildew, followed by a warm-water rinse. Once the grout is as clean as you can get it, rinse it well and let it dry thoroughly. Expert advice at Merry Maids’ website suggests applying a coat of masonry sealer to inhibit future problems—though this process also needs to be repeated every year or so. Grout sealer is available at most home improvement stores and often comes ready-mixed in a handy brush-on applicator. Another application method is to pour sealer in a large aluminum pan and use a big sponge to swipe over tile and grout. Once dry, you can buff the product off of the tiles and it will remain on your grout. This may not be suitable for all situations, so check with your tile manufacturer or the pros where these products are sold for best results. Another product available for bathroom grout is a grout pen. Like a craft paint pen, a grout paint pen covers and protects grout with an antibacterial, non-toxic formula that leaves a waterproof coating. This too will have to be occasionally reapplied, but in the meantime you’ll have fresh-looking grout with an extra layer of protection. Now you are ready to tackle the gunky funk growing in your bathroom. The gratification may not be instant, but there’s something to be said for scrubbing away dirt and washing it—and maybe your frustrations—down the drain.